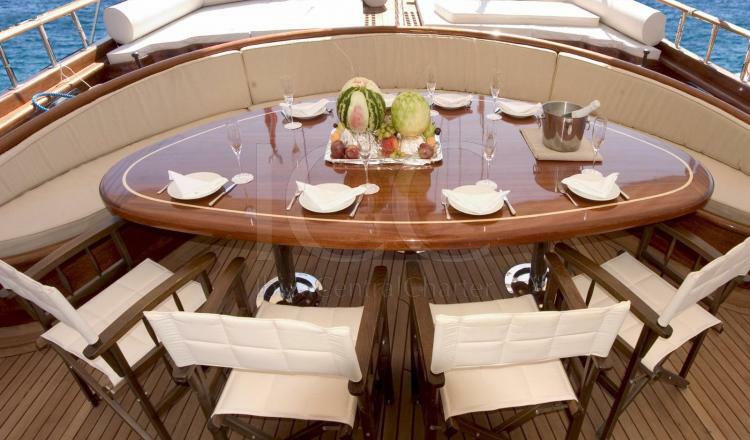 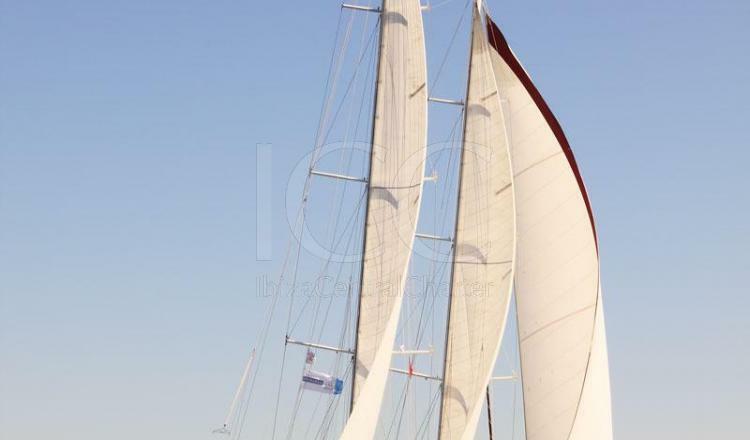 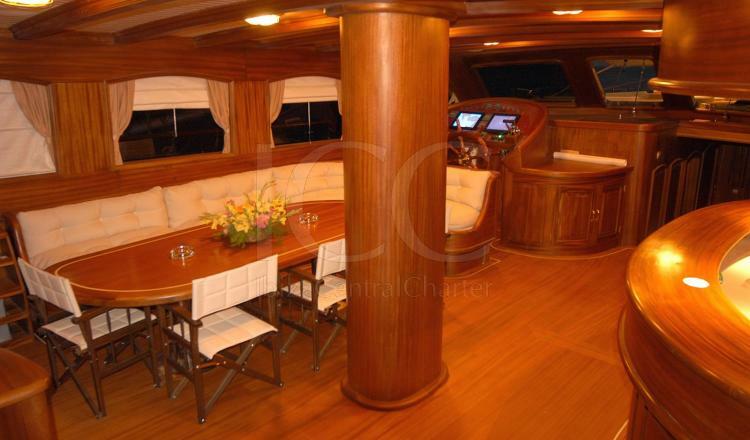 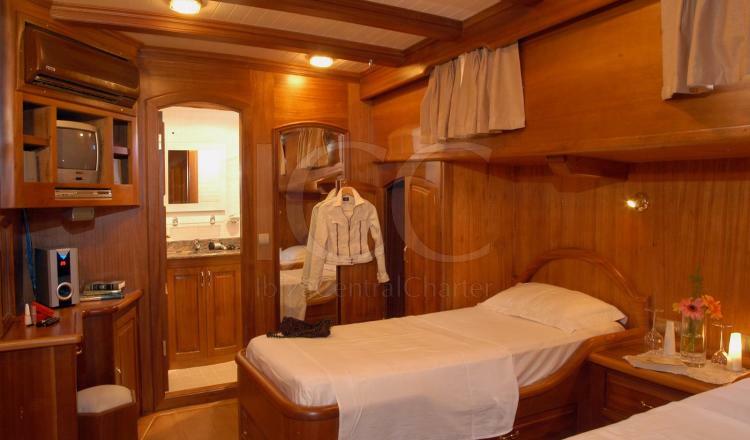 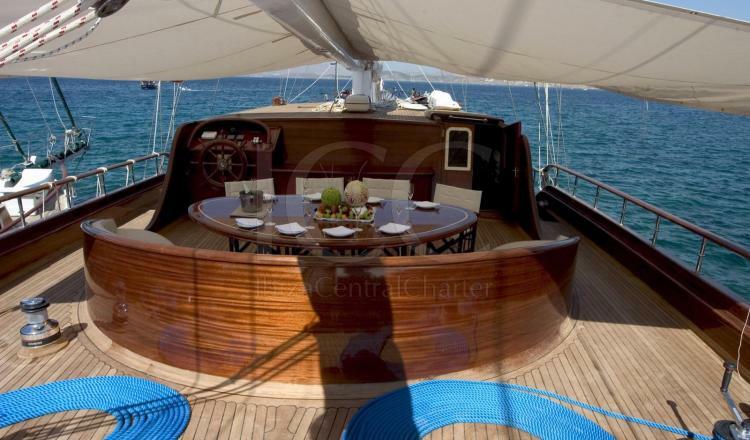 One of the most luxurious schooners of the moment for charter in the Balearic Islands. 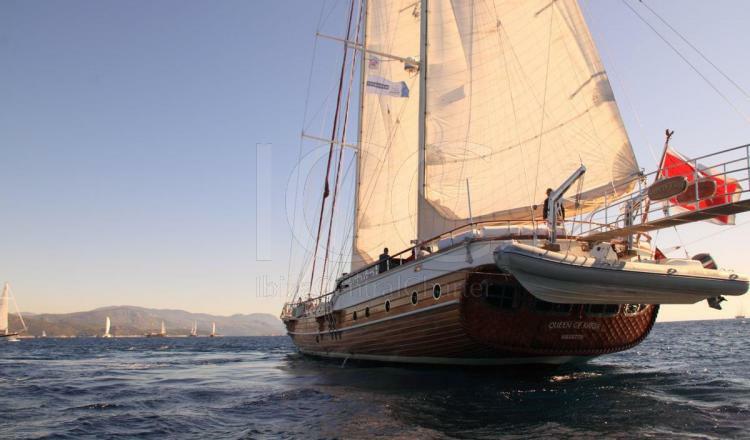 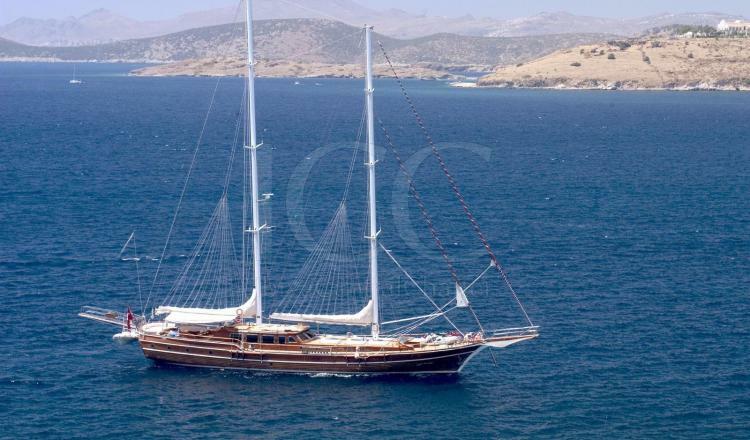 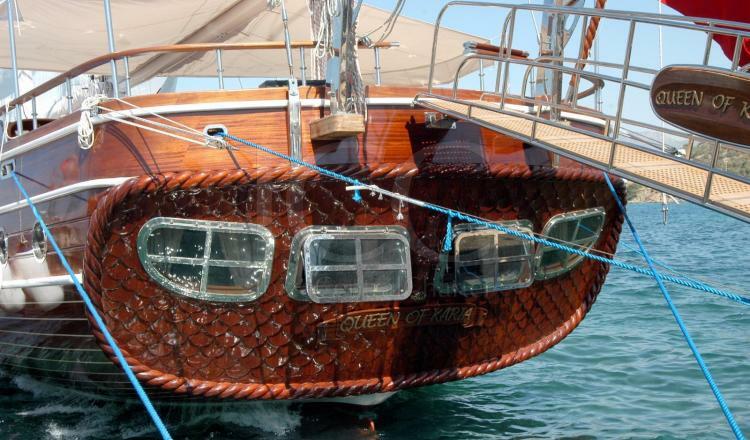 QUEEN OF KARIA is a wonderful schooner of 35 meters in length that has all the technological innovations of the moment without leaving behind its classic style and all the comfort to enjoy a spectacular holiday in the Mediterranean. 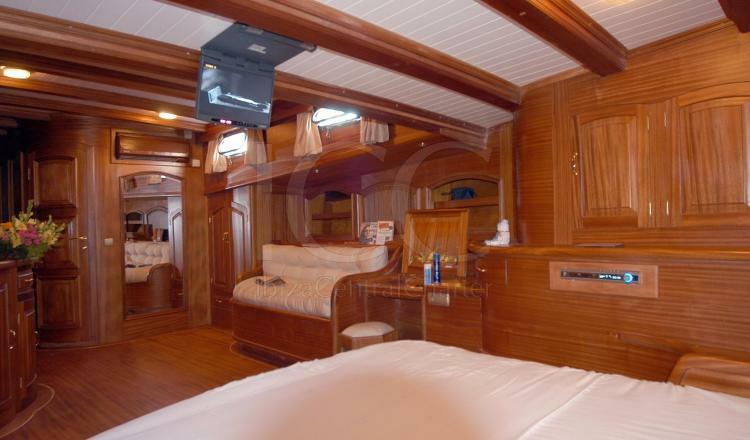 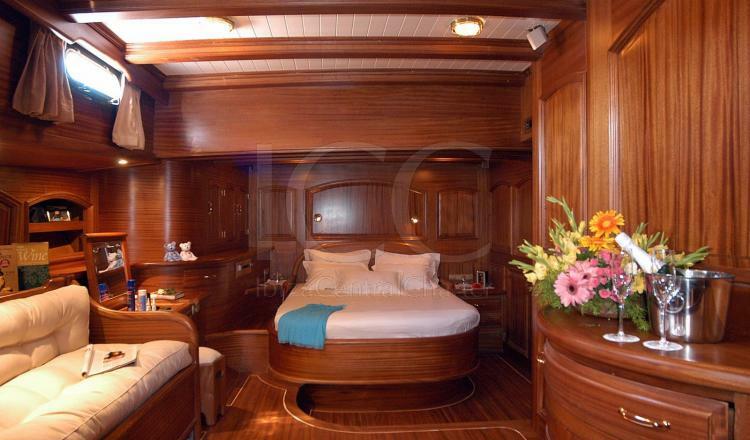 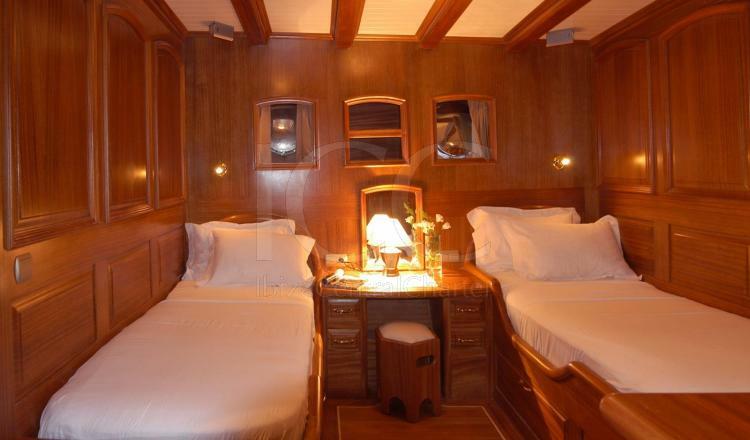 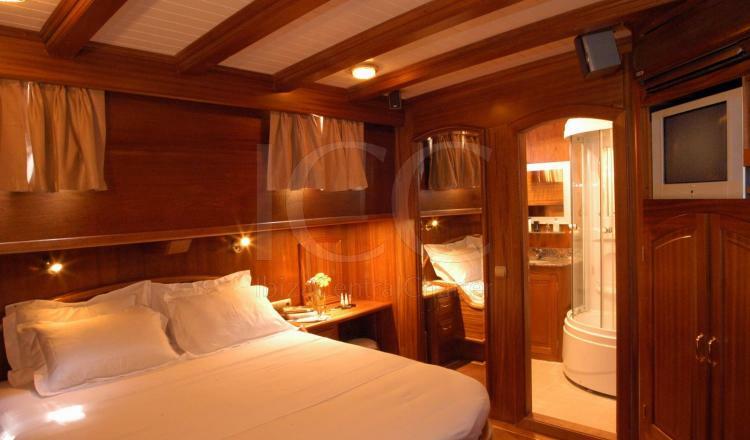 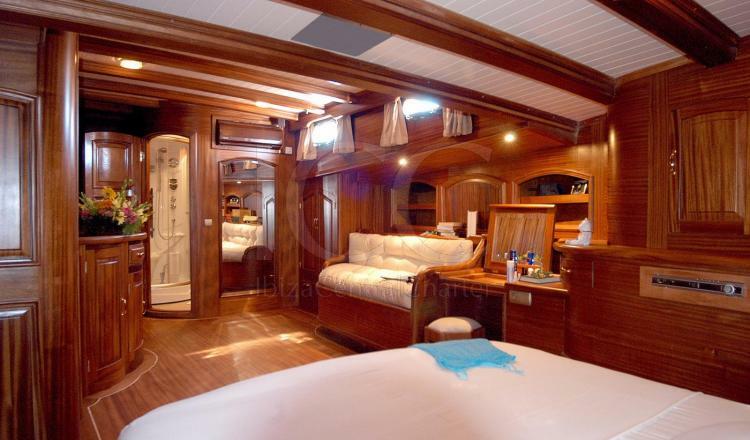 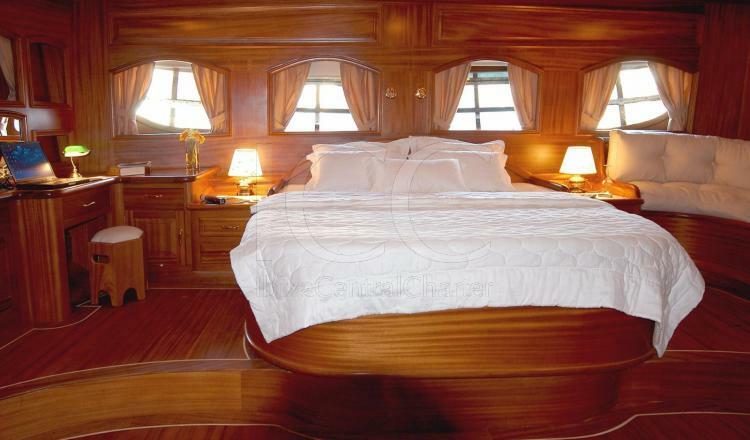 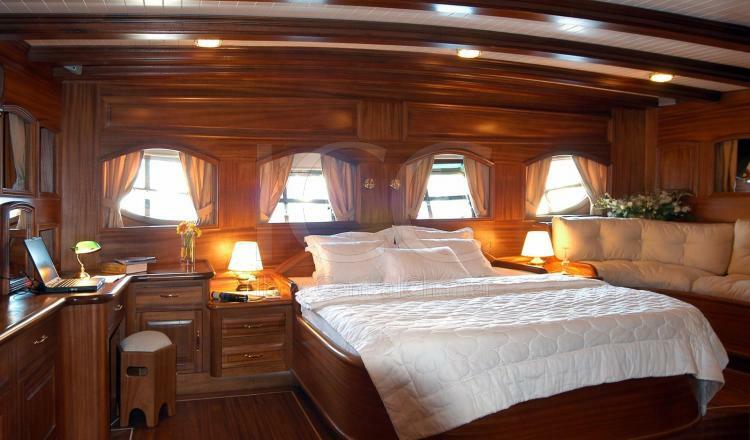 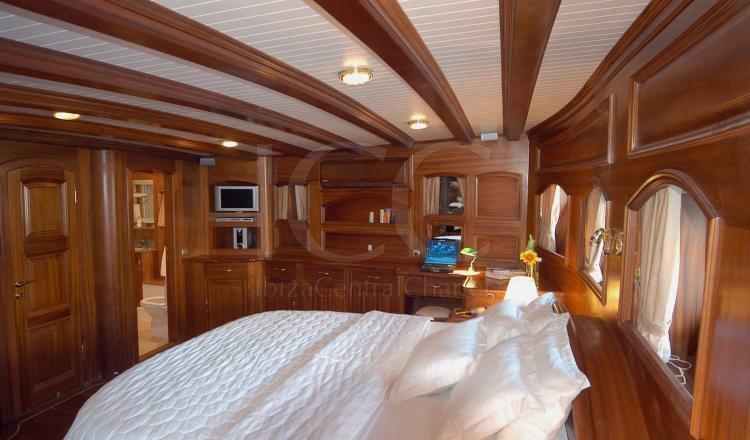 This schooner has five cabins with the following distribution: 3 double cabins and two twin that in total have 1 king bed, 2 queen beds, 4 single, 2 convertibles. 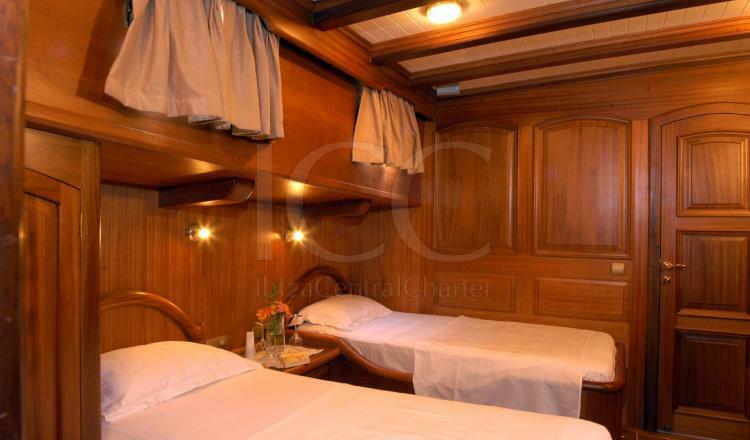 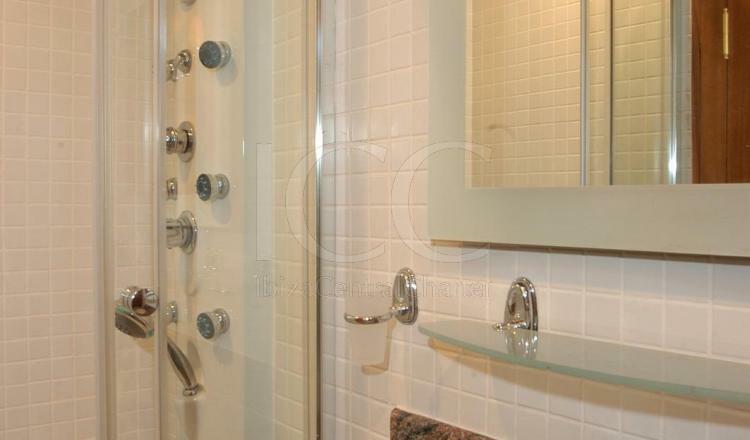 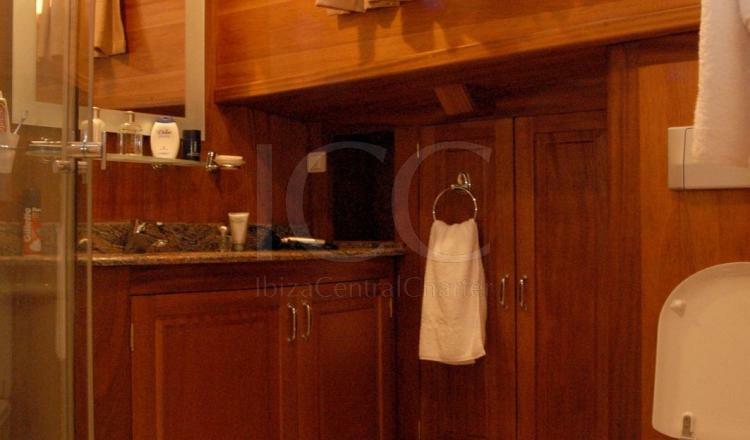 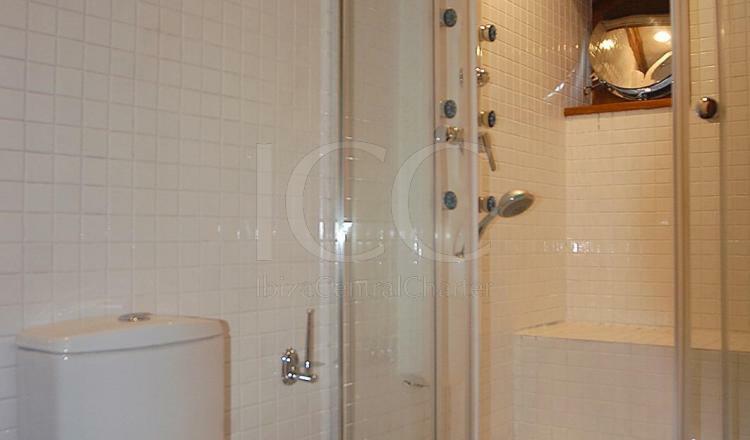 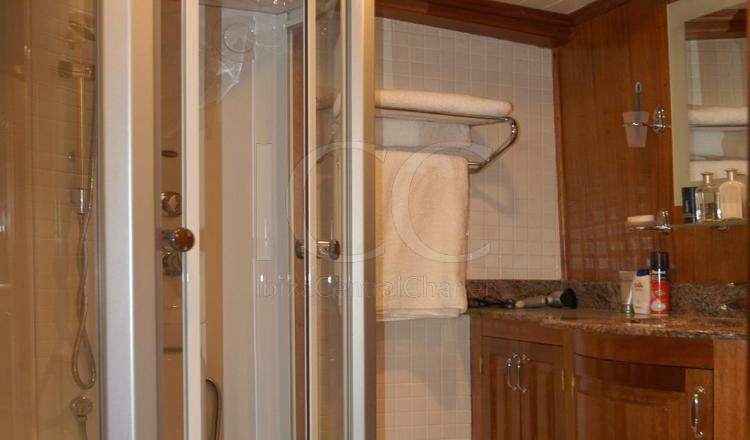 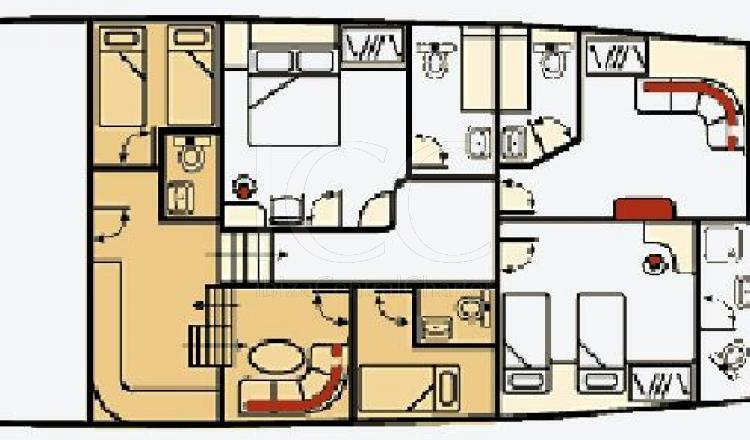 They are also fully equipped with air conditioning, full bathrooms, etc. 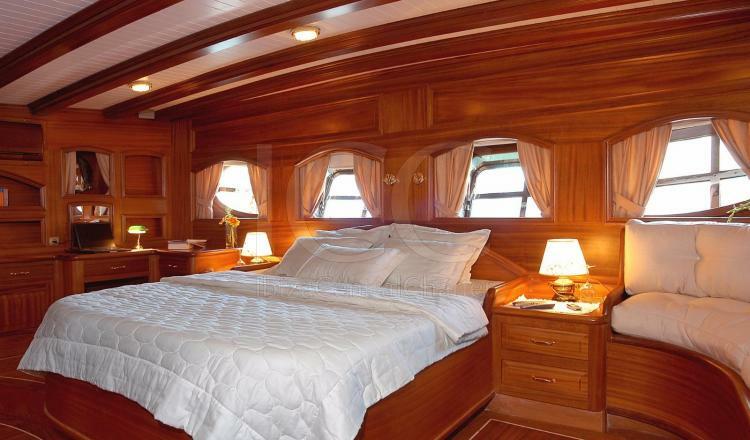 The interior area has been entirely built with noble mahogany wood of the best quality and has a dining room, living room with TV, equipped kitchen, etc. 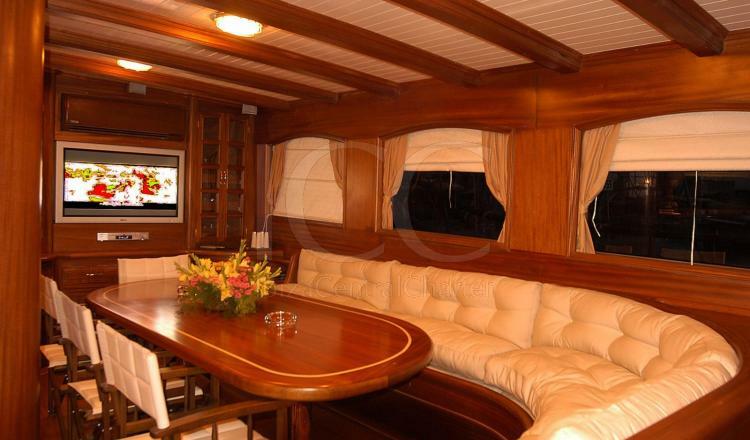 In the outside area there is an area with sofa and table and another with a solarium ideal for sunbathing and relaxing. 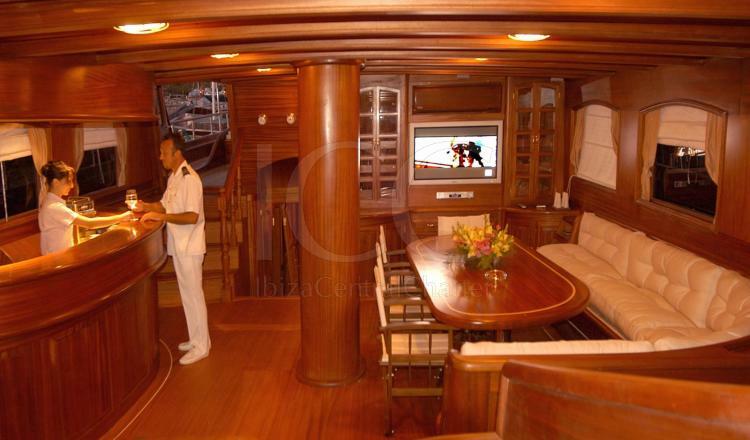 In addition, a crew consisting of a captain, a sailor, a stewardess and a chef ready to offer an impeccable service to enjoy the best holidays in Ibiza and Formentera will be at your disposal. 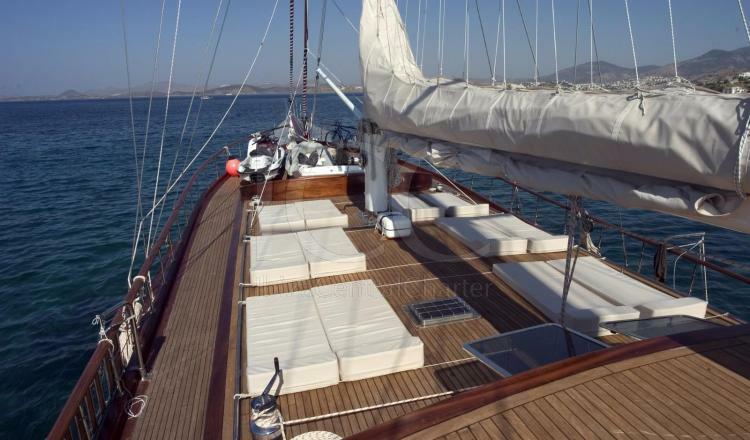 50% one month before boarding.